Born Lafayette Stocking McKee, Lafe McKee began working in Hollywood around 1913. He usually played the likeable father of the heroine, the distressed businessman, or the ranch owner on the verge of losing his homestead or cattle to the villains. 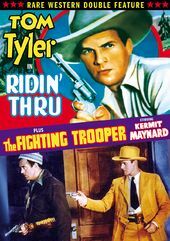 The majority of his films were westerns and he supported such actors as Gary Cooper, John Wayne, Gene Autry, Tim McCoy, Tom Tyler, and others.